Spending More on Team Building Events? Why Are Businesses Spending More on Team Building Events? Over the years we have seen that more and more businesses have been spending an increased amount on their team building events, but why? Recently, businesses have been realising all of the amazing benefits that team building can provide for your team. Alongside this, the current economic climate has had a steady increase over the years since the 2008 financial crisis, which means businesses have more money within the business due to the growth. 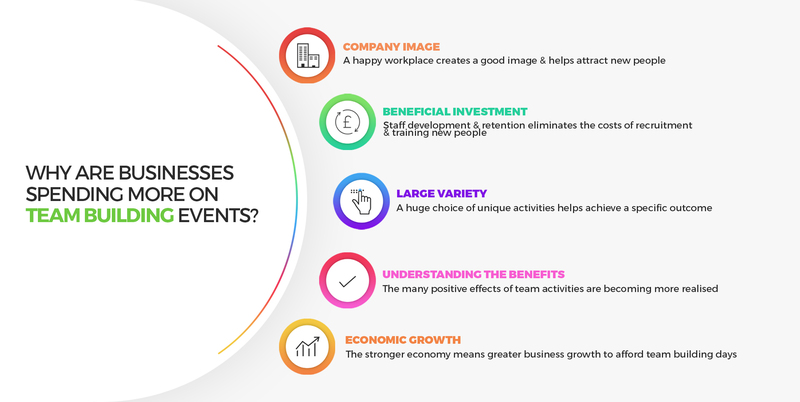 These both go hand in hand in allowing businesses to afford to go on more team building events and days as well as spend more on boosting team morale. People are also realising the benefits of various team building events. 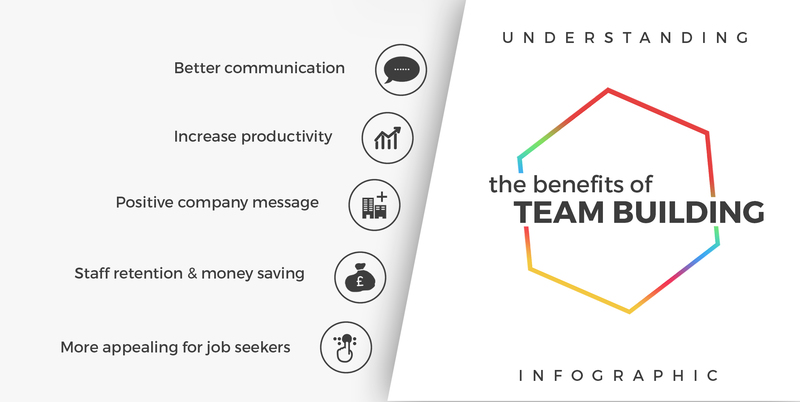 Now it is seen as a useful tool that will get staff thinking differently within work, communicating better with one another, promoting a positive company message across the board by using a fun and unique way and of course increasing the productivity within the team and the way that they work individually and as a team. Recently there has also been a shift from the traditional team building days to things that are much more unique and innovative. The usual activities like assault courses, bowling and Go Karting have been swapped out for activities like Crystal Collection, Commercial Teambreak and cookery events like Cocktail Making and Pizza Making. This is because not only are these events better to arrange for your team but they are also specifically targeted to achieving a specific outcome whatever it may be. Spending more money on team building events also means spending more time investing in staff development and staff retention. From team building events you hold you will also quickly realise the benefits that it brings to the business in monetary terms as they will save on recruitment, staff training etc. From doing team building events you will also find that it will benefit the team as they will want to talk more about the place that they work for as well as potentially making others want to work for your business as well.